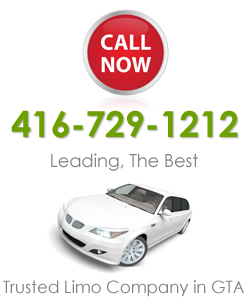 Toronto Pearson Airport Limousine Services from Deol Limo. You have worked all your life and have tried to save a little bit on the side so that one day you will have enough to take that most wanted trip around the world, or more realistically speaking – to the Caribbean, the Alps etc. This is your moment to relax and get away from your mundane world into a period of serene tranquillity, where there is just you, nature and hopefully some loved ones. So what would be the best way to head off into this realm? Try out our airport limousine service – a top of the class service that guarantees to take you to the airport on time while making you experience luxury throughout. Is there any other better way to start your much awaited journey? Certainly not and you know what? Limousines are not that sky rocketing expensive any more. Customers rent limousines all the time, on their wedding, on their prom night and even on their birthdays; so why not now. Make use of Deol Limousine Service’s attractive offers and travel in style right from the beginning. So you want to know, which limousines we have ready for our airport service. Then read further down to find out. Deol Limo Limousine Service, has a number of limousines that can be hired for airport service. You can choose the really luxurious one or you can go for something capacious and with more options inside. One of our popular limousines is the Hummer Limousine with which you can get a lot of value added services. And then there is the Ford 650 Limousine, another popular choice of our customers. But you don’t have to do what everyone is doing; if you have more cash to spend and you think you want more style and luxury then go for the Rolls Royce Limousine or the Bentley; both of these cars require no introduction to their grandeur and elegance. Deol Limo Service does not offer its valuable services to the main city of Toronto alone; we take a lot of pride that we are ready to offer you our services in all of the other smaller cities like Mississauga, Etobicoke, Vaughan, Oakville, Richmond Hill, Markham, Brampton and Woodbridge. Our services of airport limousine, prom night limousine, birthday limousine and wedding limousine, especially, are getting really popular in all of these cities. Make sure you drop by our office to select some of the best packages that we have in store for you.